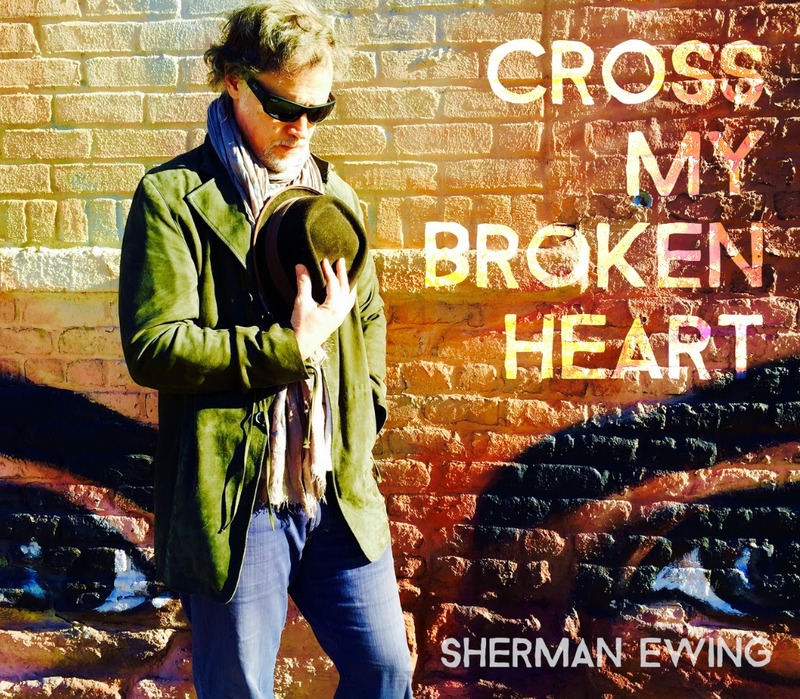 Folk-Rock Minnesota native Sherman Ewing's new EP release "Cross My Broken Heart"
Early on, Ewing was influenced by the unrefined and direct sounds of fellow Minnesotans, The Replacements and Husker Du, as well as England’s punk music. Sherman’s solo career began in 2002 when he teamed up with producer Godfrey Diamond (Lou Reed, Aerosmith, Billy Squier). 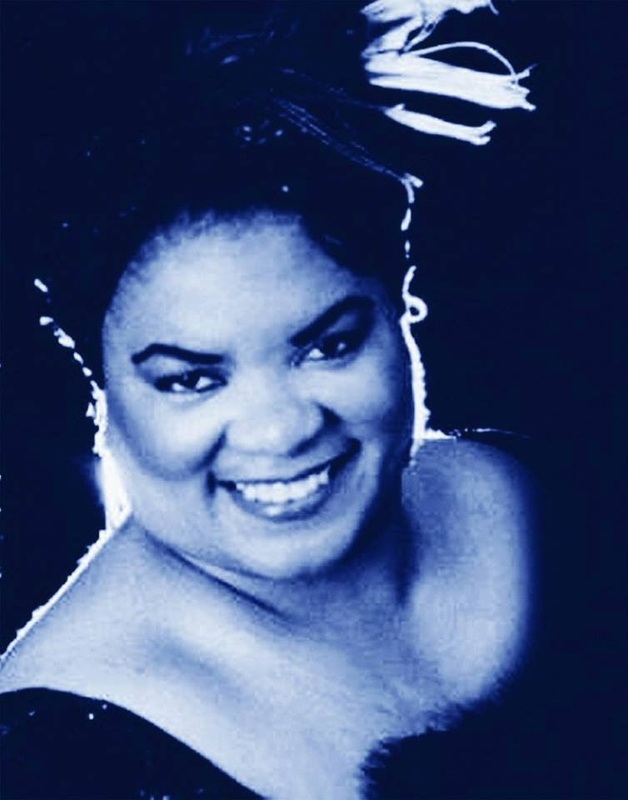 Ewing and Diamond’s collaborative chemistry was immediate, resulting in the writing and recording ofnhis first album, “Bluemoon.” Read more on his official website HERE. His latest offering is the 4-track EP, "Cross My Broken Heart", set for release in early summer, 2015. Marty's review: The 4 tracks on Sherman Ewing's new EP combine several elements of roots music that range from folk to rock, country and blues. "Cross My Broken Heart", "Wild River" are 2 standout folk-rock efforts, "Lonesome Soldier" is a heartfelt ballad with a roots shuffle and "Spiritual Awakening" is and all-out rocker that pumps out a driving beat and searing blues guitar licks. With vocals that are crisp and clear, a songwriting talent that is seasoned and professional and a tight knit production that is polished but remaining roots focused, this EP can only further Sherman's career and gain him even more attention. 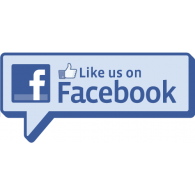 CLICK HERE to visit Sherman Ewing's website. Welsh/Australian rock and blues guitarist Gwyn Ashton HOT album release "Radiogram"
Welsh/Australian guitar maestro, Gwyn Ashton, is back with Radiogram, a hard-driving renegade rock and blues album heaving with hook-laden, catchy songs and killer riffs. We reckon it's a pretty good album. So do Kim Wilson, Robbie Blunt, Don Airey and Mark Stanway. In fact, they liked it so much they PLAYED on it! Guitar wiz Ashton was previously voted third place as “Guitarist of The Year” by French readers of Guitar Part magazine, behind Jeff Beck and Gary Moore at number one and two. Radiogram boasts nine self-penned tracks plus a phat groove version of Willie Dixon’s “I Just Wanna Make Love To You” with the Ashton trademark stamped all over it. This feast of electric blues, heavy funk and melodic rock has been inspired by his well-worn vinyl record collection. The production finds the perfect balance of being earthy and vintage without sounding retro and has a modern polish without being too clinical. 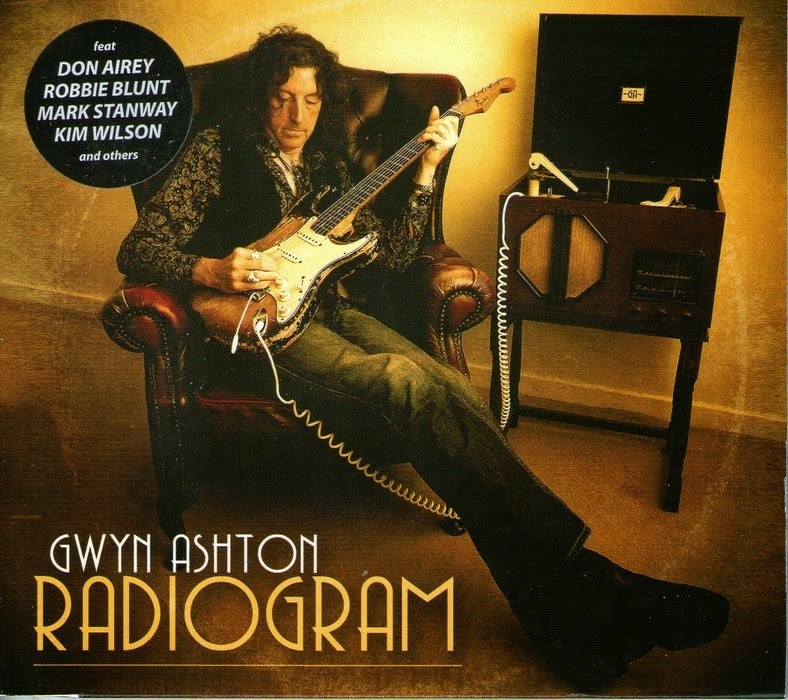 Marty's review: With his feet planted firmly in the blues, Gwyn Ashton's Radiogram is a contemporary testament to blues music. Combining raunchy blues guitar with slightly raspy vocals and delivered at a blistering pace, the 10 tracks on this release will leave you breathless. With nods to past guitar masters like Rory Gallagher and Roy Harper and matching, if not surpassing, most other blues guitarists, Gwyn's talents are a force need to be heard and appreciated. My favorite track is the 7.43 epic blues instrumental "Bluz For Roy". 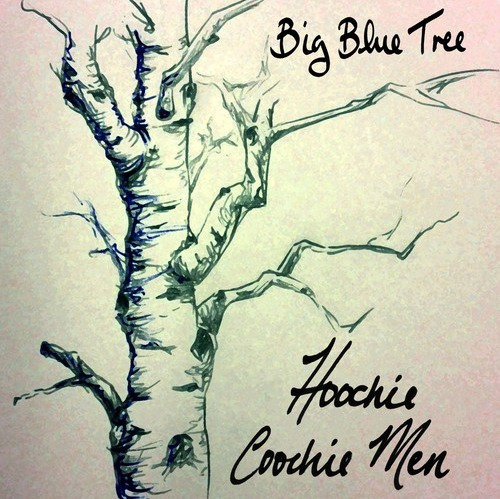 (New York, NY) NYC-based, blues-rock band Hoochie Coochie Men release their 2015 EP, Big Blue Tree. 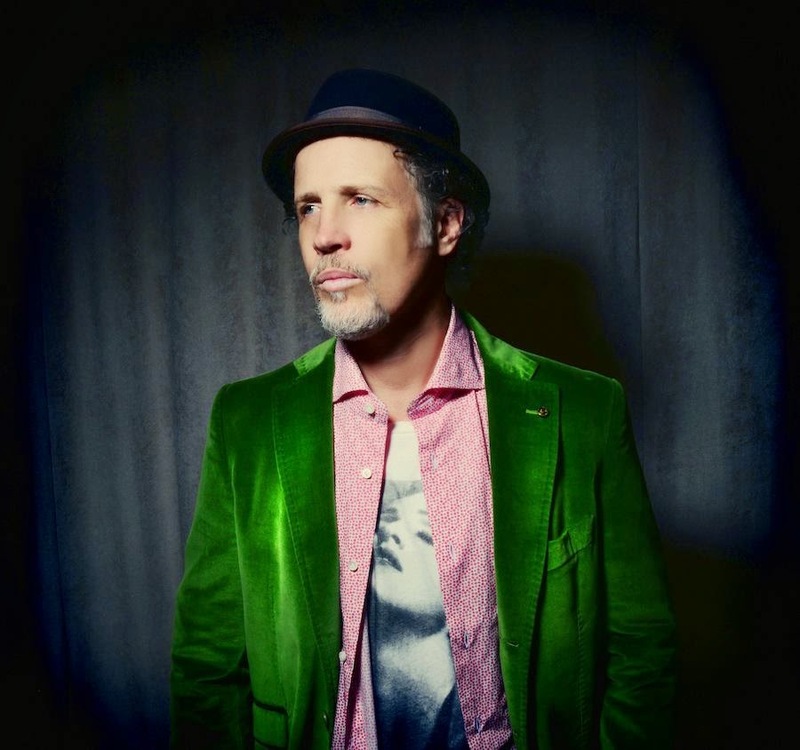 It was produced by Grammy nominated engineer Brendan Muldowney (Elvis Costello, Tedeschi Trucks Band) and features the band's blend of folk/blues and unique resonating vocals. 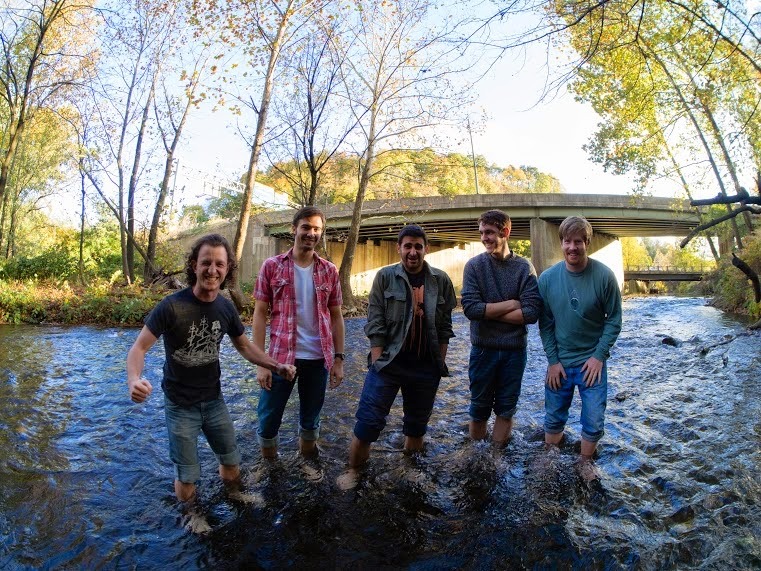 The EP ​was premiered on ​Groundsounds, who called the release a "fresh spin on a classic blues-rock style." Founded in 2011 at Lafayette College in Pennsylvania, Hoochie Coochie Men started out as a blues and jazz cover band, but by 2012 the duo of Zach Gold and Alex Musso attracted three more members: organist and vocalist Joey Tumulty, bassist Grant Kempski and drummer Brian Duke, who helped Hoochie Coochie Men craft their own original music. Since then, the band has been gaining steam and finishing a 40-show summer tour of the northeast, including a stop at Jazz Up July in Stamford, CT, where they opened for the legendary B.B. King. The Hoochie Coochie Men have earned praise across the board from outlets like Vents Magazine, Paper Blog and This is Book’s Music. Eight-time Grammy award winning composer, Paul Winter called their sound a “fresh and inspiring take on American roots music" and HearHear Music applauded the band’s mashup of Etta James and John Lennon “I’d Rather Go Blind/Don’t Let Me Down” saying, “This is what keeps me writing about music, listening to music, dreaming about music.” Hoochie Coochie Men recently hosted their EP release party at The Bitter End in New York City and will be playing locally and at festivals across the U.S. Keep an eye out for Hoochie Coochie Men near you and check out their new EP, Big Blue Tree! The title of the second album from Andria Simone says it all: Evolve (Evolution Through Vibration). This totally compelling and accomplished record maps the musical and personal evolution of Simone, a young singer, songwriter and bandleader of truly breathtaking talent and charisma. Released on GKM in March 2015, it comes less than 18 months after the release of Andria’s debut full-length album, Nothing Comes Easy. That record turned heads and ears, scoring impressive airplay on CBC radio, JAZZFM, Proud FM, college radio, and blues programs across the country. Above all else, it alerted the Canadian music industry to the presence of a new artist with unbridled potential. That promise is now fully realized on Evolve (Evolution Through Vibration), a work that showcases Simone at the very top of her game. Isaiah B Brunt has been a top Aussie production guy, and former studio owner of Darling Harbor studios, who's worked along side some of Australia's top groups including solo projects by Rob Hirst, Midnight Oil, Steve Prestwich, Cold Chisel, Julio Iglesias and his Orchestra. American Idols Randy Jackson and Goo Goo Dolls have also rehearsed there during Australian tours. Not only has Isaiah been behind the board for globally upper echelon bands he's been a go-to side man for bands touring down under like the time Keanu Reeves band Dog Star hit Sydney and Isaiah recorded them aiding them on their shows around Sydney. All the while he was working with other peoples music, Isaiah always knew where his heart lay. The same place it first was when he heard his father strum the ukulele, blow harmonica and unleash the lap steel. Isaiah was the 2010 Sydney Blues Society's Performer of the Year and some of you may have caught him at the 2011 IBC, probably the best dressed cat in Memphis and good enough musically to be one of the very few to be reviewed in The Memphis Daily. Take a trip back in time, to a time of dark, smoky speakeasies featuring “dangerous” new music. It was a time of colliding worlds, new musical frontiers, and explosive creativity that would permanently alter the landscape of popular music. It was a time of racial tensions and the early years of the struggle for equality. The University of North Texas Press are excited about a biography that they have recently published, entitled "The Original Guitar Hero and The Power Of Music: The Legendary Lonnie Johnson Music and Civil Rights". 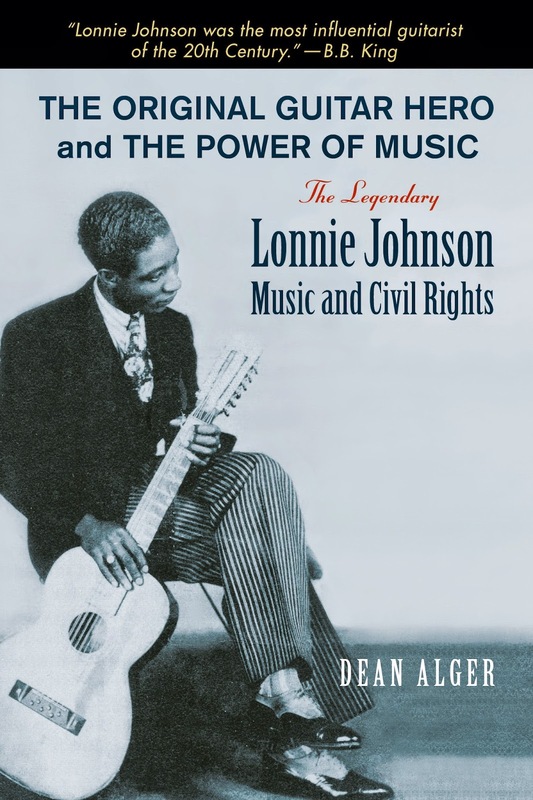 It's a definitive account of Johnson’ life, showcasing both his groundbreaking work as a guitarist as well as his dedication and contributions to the civil rights movement. Lonnie Johnson (1894–1970) was a virtuoso guitarist who influenced generations of musicians from Django Reinhardt to Eric Clapton to Bill Wyman and especially B. B. King. Born in New Orleans, he began playing violin and guitar in his father’s band at an early age. When most of his family was wiped out by the 1918 flu epidemic, he and his surviving brother moved to St. Louis, where he won a blues contest that included a recording contract. His career was launched. Johnson can be heard on many Duke Ellington and Louis Armstrong records, including the latter’s famous “Savoy Blues” with the Hot Five. He is perhaps best known for his 12-string guitar solos and his ground-breaking recordings with the white guitarist Eddie Lang in the late 1920's. After World War II he began playing rhythm and blues and continued to record and tour until his death. This is the first full-length work on Johnson. Dean Alger answers many biographical mysteries, including how many members of Johnson’s large family were left after the epidemic. He also places Johnson and his musical contemporaries in the context of American race relations and argues for the importance of music in the fight for civil rights. Finally, Alger analyzes Johnson’s major recordings in terms of technique and style. He offers the long overdue biography of one of the true geniuses of 20th century music. Alger has woven material from extensive research into a narrative that presents the real Lonnie Johnson in light of an unjustly underrated and neglected superstar. Click here to find out more and purchase the book. Also available on Amazon and through Barnes & Noble. It’s available as hardcover and ebook. 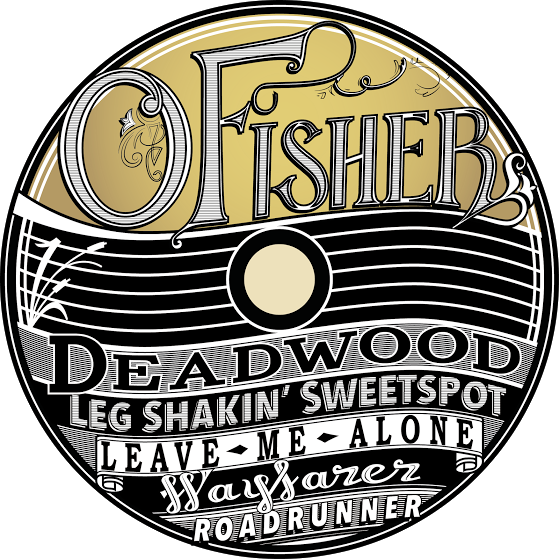 "O Fisher" are a blues/alternative rock band that formed at university in Scotland over a shared interest in blues music. Their bass player, Declan, is originally from north-west England, but the rest of the band originate from all over the world (Australia, Slovakia, Brazil, Korea...). They have since developed a sound that taps into old school blues whilst throwing in some cross-genre twists. They have just released a new EP titled Deadwood, and are keen to share their music with fellow blues artists and roots music followers. Take some time out and discover their sounds and let them know what you think. 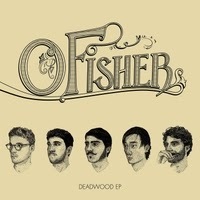 Marty's review: Combining elements of blues and roots music including harmonica, acoustic guitars and piano with a contemporary, electric, alternative sound, O Fisher's Deadwood EP is a solid collection of songs that packs more punches than a pair of rookie boxers in the ring. The 5 killer tracks are the title track Deadwood - a 5 minute epic that builds into a crescendo wall of sound and is straight out of the Louisiana bayou, Leg Shakin' Sweetspot is a rollicking blues that will have you moving along, Leave Me alone starts as a slower electric blues-rock shuffle and develops into an all out rocker, Wayfarer is a shorter, slightly folk/rock effort and Roadrunner is blues-rocker with tight rhythms, honky-tonk piano and wailing harmonica that will leave you wanting more. An excellent debut that deserves repeated listens. 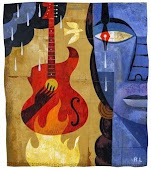 Currently in production is an upcoming documentary on women in blues music (interestingly) called "Women in Blues" (by U N Me Productions), which celebrates women who sing or play the blues. It will feature interviews with several legendary blues women including Deitra Farr, Susan Tedeschi and Ana Popovic. The producers are particularly excited to have recently secured Beth Hart and Grammy-Award Nominee Ruthie Foster. Part of the film has already been filmed in the US and the producers have launched a campaign on KICKSTARTER to help source the remaining funds necessary for completion. They are very excited about this project (as we are at The Blues and Roots Music Blog) as they believe it will provide a rare insight into the experience of female blues musicians (many of whom have overcome personal struggles of various kinds) in a male-dominated musical arena. Click here to view the trailer for the documentary. Marty: Who are you and what is your involvement with the documentary? 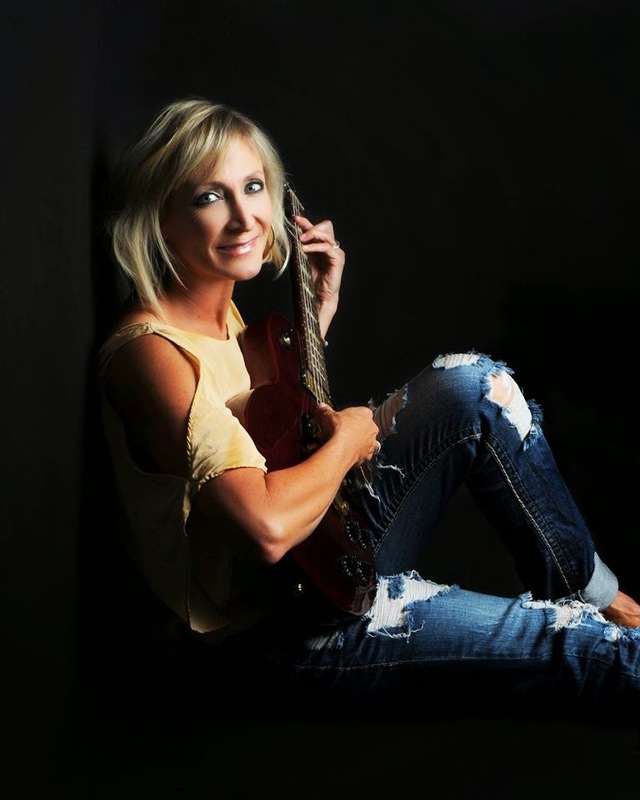 Lisa: I'm the creator, director and producer of "Women in Blues". Marty: What was the instigation for the documentary? Lisa: My dad was a blues pianist. I grew up in a tiny 3 bedroom house with 5 older sisters and one small living room but that never stopped my dad from banging out the blues. This is where my love of blues music started. Marty: Who and what can we expect to see in the doc? Lisa: You will find that this is a charter-driven documentary. You find out what makes these ladies do what they love doing and why they will never give up. Some of the artists already lined up are Deitra Farr, Grana Louise, Holle The Maxwell, Joanna Connor, Susan Tedeschi, Ruthie Foster, Ana Popovic and many many more! Marty: How do you see the role and importance of women in blues history and contemporary blues music? Lisa: Women were the backbone of Gospel, and that's where the blues started. The women sang in church, they sang in the fields, it was the hum of their music that kept things tolerable and instigated their strong Faith. Blues music is changing greatly. It will always be around, but there seems to be a new breed of white female guitarist artists touring around. It's interesting. Marty: What is the level of interest in female blues musicians today compared to their male counterparts? Lisa: So far, I've discovered that it isn't easy being a woman in a male dominated industry. Men still get more gigs than women. Marty:When do you hope to see the documentary completed and where will it be shown? Lisa: We are aiming for Theatrical Release at the end of 2015. I am passionate about this project and so far it's all self-funded. We really need help from the community to help us see this project through. Blues Engine have been featured on this blog previously (click here to go to original post). They are a London based blues band who formed in September 2013 and performed their first gig at Ronnie Scott's bar on January 30th 2014. They have just released a new single "Valentine" plus 2 more tracks, "This Little Heart" and "Tumbledown. They are currently working on a fourth single and plan on completing an album by summer 2015. These will be available on iTunes shortly. · Ovais (Drums), built from car parts by the A-Team. Marty's review: "Valentine" is a smooth, sultry, 6 minute electric blues number that combines searing guitar licks with a tight rhythm and smoky vocals from Katya. "This Little Heart" is an upbeat blues rocker that will have you up and dancing to the hand clapping rhythm and singing along to its, dare I say, catchy lyrics. "Tumbledown" is funky blues that grooves and jumps with all members showing their talents up front. Blues Engine have a sound that is reminiscent of artists like Buddy Guy, Robert Cray and Stevie Ray Vaughan.